Dr. Lewis is an invaluable asset to the Geography and Planning Department. Among his courses are Environmental Planning, Local Economic Development Strategies, Metropolitan Structures and Function, and Environmental Restoration and Brownfields Redevelopment. 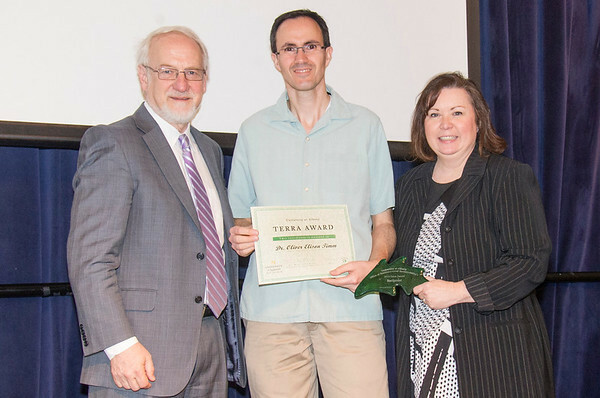 In addition to his work in the undergraduate and graduate classrooms he serves as an academic advisor to many students within the Sustainability Minor. Students frequently seek out Dr. Lewis for his expertise in the academic minor as well as the field of sustainability. Bridget is a strong leader within the sustainability culture at the Dewey Graduate Library. In addition to her to work as a Sustainability coordinator she eagerly promotes elements of an exemplary green workspace. She has encouraged all library staff to opt for paperless pay stubs, take part in the Green Your Commute Program, and organized a spring cleanup in conjunction with the annual Shredding Day. Bridget has also identified the need for and implemented recycling receptacles in the library. Rebecca is a staunch advocate for alternative transportation in the Capital District. Rebecca utilizes running, walking, biking, busses, and carpooling as a means of travel. While continuing her graduate work at the University she advocates for a green lifestyle for all and has partnered with CDTA to arrange for student transportation on various academic field trips. Additionally, she participates in and promotes national Ride Your Bike to Work Day. Dr. Lawson demonstrates a strong passion for sustainable development on campus as well as its integration into the classroom setting. Course material is specifically derived from University Student projects, Campus Planning studies and publications, and other University materials. Transportation and Statistics courses at the graduate level are taught using data and analysis from recent UAlbany transportation surveys. Additionally, Dr. Lawson encourages students to conduct research for individual thesis topics on areas such as alternative transportation, green infrastructure, and other elements of sustainable design. Mike has been a key player in every aspect of operational sustainability on campus. He was instrumental in setting up the recycling infrastructure and signage at the residence hall trash rooms last year. He worked on establishing a waste infrastructure including compactors in the Campus Center to divert waste from landfill. He made the installations of Electric Vehicle Charging Stations on campus a reality and is currently helping with installation of (3) new stations. He has managed several lighting improvement projects on campus. He persistently advocated for campus electrical system upgrades for efficiency, reliability and resiliency and was able to convince upper management to invest in the project. He is currently assisting with several Energy Master Plan projects including the Combined Heat and Power Plant project and the solar PV project. Archer has taken over the leadership of our Food Recovery Network. Archer has been our liaison with Sodexo, making sure that students are available to wrap up the food that can be donated to the Food Bank at Indian Quad. This is notable since he is a freshman and without his leadership, this program could have faltered. Archer is a member of the LLC World of Community Service and recently joined the newly formed Sustainability Leadership Council. Dr. Bob Keesee of the Department of Atmospheric and Environmental Science department is a lifetime supporter of sustainability. He not only teaches sustainability focused courses through his normal work load, but he developed a freshman seminar course around sustainability that he has taught for several years. Bob serves as the advisor of the UAlbany Students for Sustainability group and attends their meetings. In addition, Bob has supported sustainability initiatives such as the Power Dialog, the National Climate Teach In, our REV campus challenge proposal and offering up his lab class to identify pollinator plants on campus. His passion is infectious and he has inspired our students who share his interest to be involved and feel connected to the school. 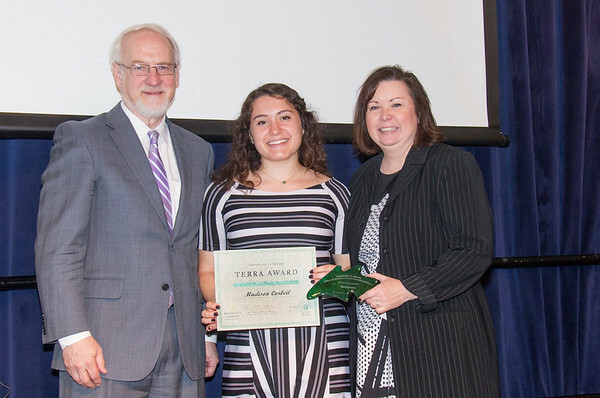 Darcie Abbatiello’s efforts towards sustainability in the workplace and on campus should be recognized on a great level. She continuously researches and finds new ways for the University Art Museum to become a more "sustainable museum." She strives for their workplace to be as eco-friendly as possible. Since this summer, Darcie has led the Art Museum’s efforts to join the office composting program and participate in the Green Workspace Challenge. One of her on-going projects is that she is working with catering services to try and reduce the food waste when catering is on-site. Lastly, Darcie works with the Preparator and the Office Manager to procure installation materials and office supplies that are more eco-friendly. As the Registrar of the museum, Darcie is conscious of the materials that are used when packing and shipping artwork. Maki Mandelis began working in the Office of Sustainability in Fall 2016 as an intern from the Communications Department. In his role, Maki oversees the Office of Sustainability’s social media platform and other event outreach, so his responsibilities play a large role in raising awareness about sustainability events and initiatives. In addition, Maki has introduced sustainability initiatives to his peers, specifically the athletic teams and cheerleaders and has helped to get volunteers for the recycling crew at football, basketball and lacrosse games. Maki is the Treasurer of UAlbany Students for Sustainability. Rob Bertolacci started in the Office of Sustainability two years ago as an operational apprentice. Without Rob, the inkjet/toner and compost collections would not be possible. He has taken over the meter reads, compilation and delivery of the Empire Commons “fake” energy bill program. Rob is a constant presence at the home football and basketball games as a key member of the UAlbany Green Scene recycling team. 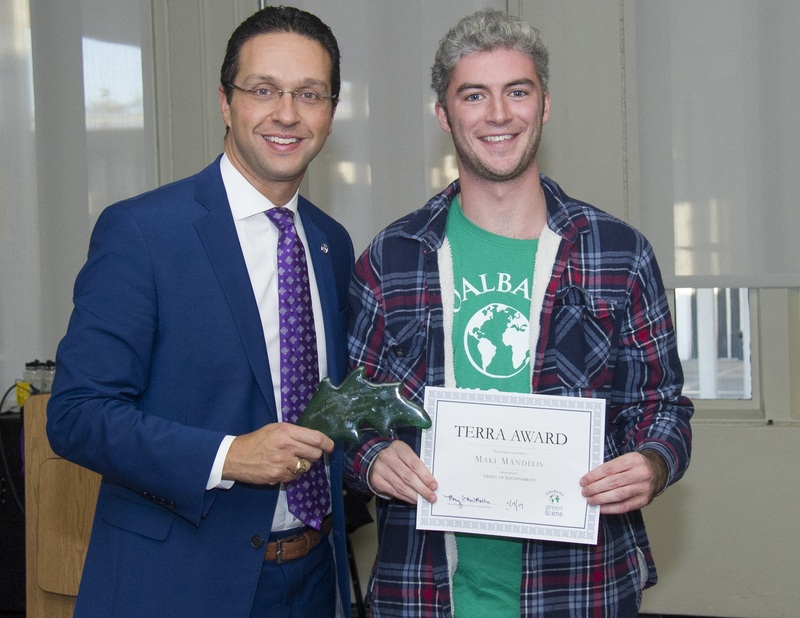 Rob is also an integral leader in the UAlbany Students for Sustainability group. Rob has not only taken over the weekly energy checks in the academic buildings as part of his duties but this semester, he has embarked on a self-imposed research study with the goal of moving the electricity-use dial as a result of his effort. This is done by entering selected buildings every evening, making observations about usage, turning electronics off and checking the weekly numbers to see if his efforts have made a difference. In addition, each Friday Rob leads a team of over 30 volunteers that goes through the campus classrooms, turning of lights, computers and monitors. This dedication is admirable and is exactly what we need to be able to pinpoint the effect of good energy practices on our utility use. Oliver Elison Timm, an associate research professor in the Department of Atmospheric and Environmental Sciences (DAES). Timm organized a joint DAES/Atmospheric Sciences Research Center sustainability seminar on climate change, food production and global food security. He assisted Mitch Aso in hosting Andrew Stuhl and his talk on Unfreezing the Arctic and arranged for students and faculty to meet Stuhl. Timm arranged for multiple free screenings of the Leonardo DiCaprio film Before the Flood. In addition, he made a presentation at the Institute for Climate, Environment and Health's symposium and hosted DAES seminar speakers this semester. 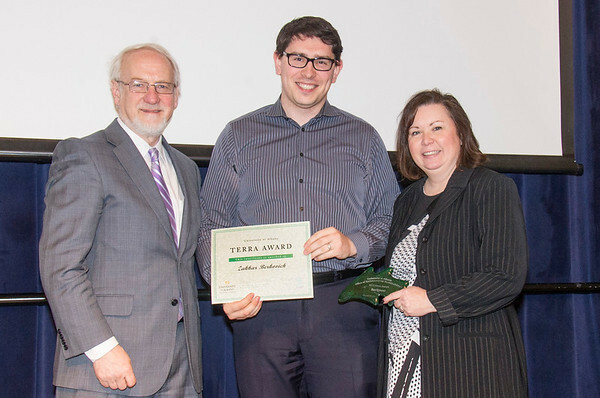 Zakhar Berkovich, director of Undergraduate Student Services at Rockefeller College, led his office's efforts to get Green Workspace Certified and helped plan and run the Power dialog last spring. Berkovich is leading the charge to develop a sustainability plan for the campus. He is a member of two advisory bodies for the sustainability office: The Sustainability Innovation Grant Program Review committee and the Academic Advisory Working Group. In his role overseeing undergraduate programs at Rockefeller College, Berkovich has brought a sustainability flair to the school's course offerings and event programming..
Aggie Pijanowski is a junior political science major with a minor in sustainability and education. She has spent the last three years making the campus more sustainable. She has organized research on the usage of bins in the main library, is currently helping audit bins in the lecture centers, and has made it her mission to improve signs in the living area's trash rooms to better educate her peers on recycling behaviors. Pijanowski helped co-chair the Trashion Fashion Show committee. A member of the Sustainability Council the last two years, she focuses on recycling and waste reduction. Her devotion to sustainable living is constant and unwavering..
Madison Corbeil is a junior Environmental Science major with minors in business and math. She splits her time between the Office of Sustainability and the Energy Office. Corbeil educated and worked with all offices in Service Building A to become Green Workspace Gold Certified, the largest office to date because it is an entire building. She is working to identify green lab practices to assist with the creation of UAlbany's Sustainable Lab Coalition. Her passion for sustainability is evident and she influences peers in a positive and effective manner. Ron is an assistant professor in the Department of Psychology. Ron believes that climate changes is as much an issue for the psychology department as it is for scientists and researchers because it is a matter of self control and we can change our behavior. 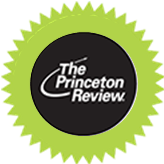 He incorporates information about climate change in his courses, such as his 400 student intro to psychology course, and seeks to raise awareness about the issue to a wide range of students. Donna is the UAlbany Campus Nutritionist for Sodexo. She holds the "key" to the popular blender bike and incorporates local food in her demonstrations. She has taken the staff lead on the Food Recovery Initiative currently in State Quad, and it has been a huge success, as they are looking to expand to Indian Quad in the future. As the Campus Dietitian, she has the ability to have a positive impact on students, faculty and staff and always shares the importance of selecting seasonal food choices grown by local farmers. 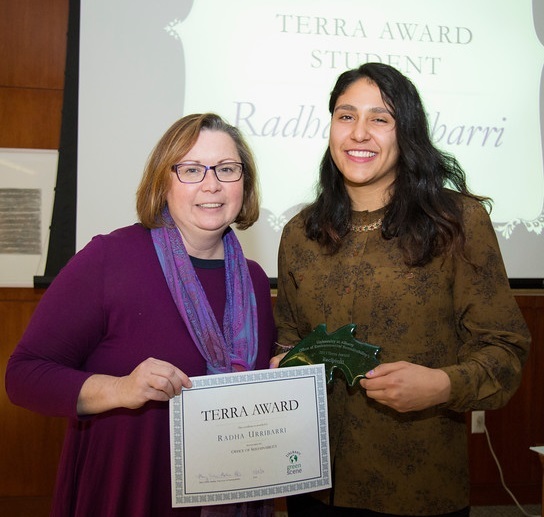 Radha is a senior in the environmental science program. She has been a dedicated student leader in the sustainability movement, starting when she was in the LLC of Environmental Sustainability. Radha has been a passionate advocate for veganism and local food and has a positive influence on all of her peers. Jessica is a senior in the environmental science program. Last year, as a Recycling & Waste Reduction Chair, Jessica led teams of student volunteers at basketball and football games recycling and co-chaired the Trashion Fashion Committee. This year, as the President of UAlbany Students for Sustainability and Outreach & Engagement Chair on the Sustainability Council, she has been a great role model and student leader for a wide variety of UAlbany community members. Judge Eleanor Stein, Professor in the Rockefeller College for Public Affairs and Policy and Albany Law School, has made it her mission to incorporate sustainability and interdisciplinary principles into her curriculum here at UAlbany. 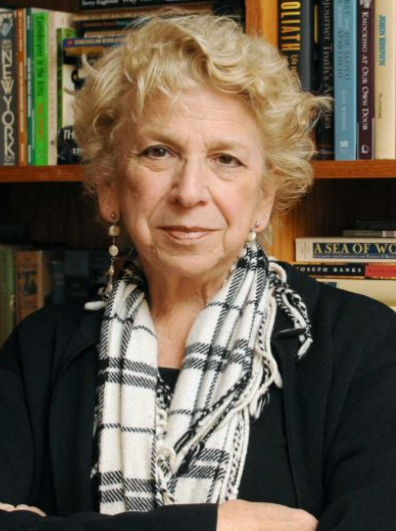 She taught a Power Dialog course this spring, which aligned with the national event hosted by UAlbany in April and she obtained the New York State Energy Czar Richard Kauffman for the event. She also brings in guest lectures, such as faculty from various departments on campus and state officials, into the classroom. Stephen Pearse, Executive Director of UAS, has been the driving force behind the sustainability initiatives related to Food and Dining over the course of the last few years since he joined the university. He has created a mindset within UAS and its partners to put sustainability front and center. He has helped to increase the purchase of local foods to 30%, brought MacGray carbon-free laundry service to UAlbany, and expanded the composting pilot program which started in Indian Quad dining hall to all quads on campus. 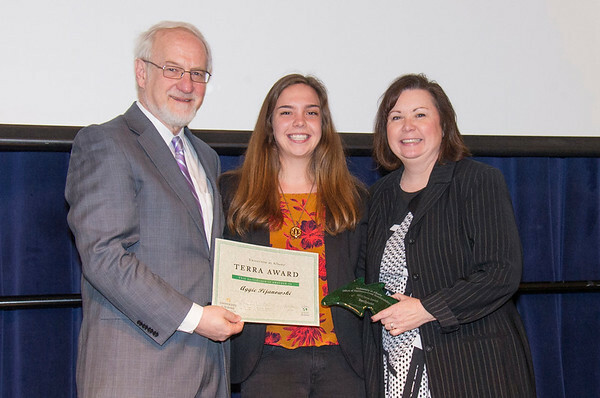 Amanda Colley, senior in the Atmospheric and Environmental Sciences Honors Program, has been a great sustainability leader and mentor for students on campus and in the campus community throughout her 4 years here. 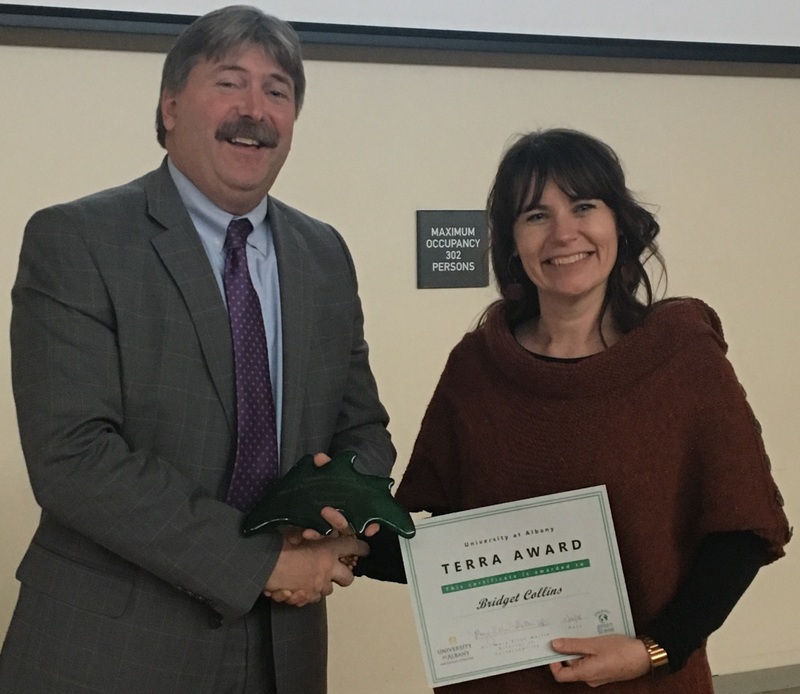 She is the President of UAlbany Outdoors and Grow Green, and she was instrumental in the planning process and implementation of the Heritage Garden on campus. In her next chapter, Amanda will be moving out to the Sierra Nevada as a naturalist for the park. Donna Crisafulli is the Executive Director of the Interfaith Center. This fall, she worked closely with the Office of Environmental Sustainability to host a three part "Faith and the Environment Series". The collaboration was a great success, convening two active communities to help see how their beliefs overlap and how they can work together in the future. 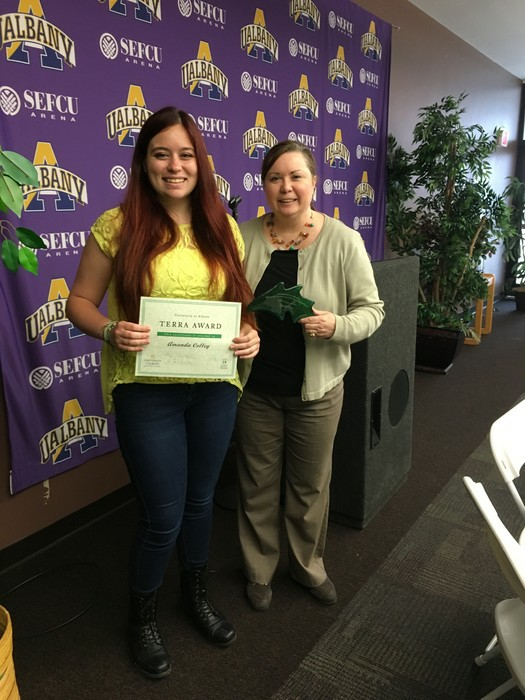 Nikki Gregor's role in the sustainability movement at UAlbany has grown exponentially in the past few years, from student group member to now the President of the USS, Community Chair on the Sustainability Council, and Community Assistant for the Sustainability LLC. Nikki has spent the last two and a half years planning trips to local schools where she uses her creative side to illustrate the basics of sustainability. Kendra has been involved in the sustainability movement for several years. One thing that makes her unique is her willingness to spend time on sustainability activities as a young faculty member. She emerged herself in moving curriculum and academic advancements forward by participating in the task force on environmental sustainability and the academic working group that developed the minor. Kendra is also a key person behind the creation and maintenance of the Sustainability Roundtable. She has also become a mentor in the History Department and has gotten her colleagues, such as Mitch Aso and Chris Pastore involved in the movement. She has also participated as a panelist and guest speaker at several events on her expertise of sustainable agriculture. She currently serves as head of the undergraduate program in History where she can steer many towards the environmental vein within her department and the campus sustainability programs. And she has influenced her colleagues who have gone on to participate in activities such as the heritage garden and History LLC, thus increasing her scope of influence. 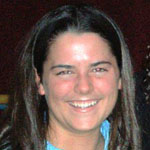 Mary McCarthy joined UAlbany in fall 2012 as a Residence Hall Director on Colonial Quad. She joined the Residential Life Professional Staff Sustainability Committee and served as the hall director for the Sustainability Themed House. In spring 2013, she proposed a new program open for all students, the Trashion Fashion Show. The Show would challenge students to create an ensemble from recycled or reclaimed materials. The concept was designed to take a fashion shows, an established favorite student activity, and add a sustainability element to expand our office’s influence to reach students and groups with whom we otherwise have little interaction. Mary was dedicated to bringing in students who normally would not be interested in the typical sustainability program, which leaned heavily on the DIY movement or educational programming. The show was a huge success; we had over 300 students attend. The success of the Trashion Fashion show has garnered attention from Student Involvement, who now includes sustainability in some of their programming committees. The show also expanded students’ understanding of how sustainability can be weaved into their own programs and student group events. The students learned about the small considerations, like proper recycling bins or compostable flatware, that they could include in any of their events. 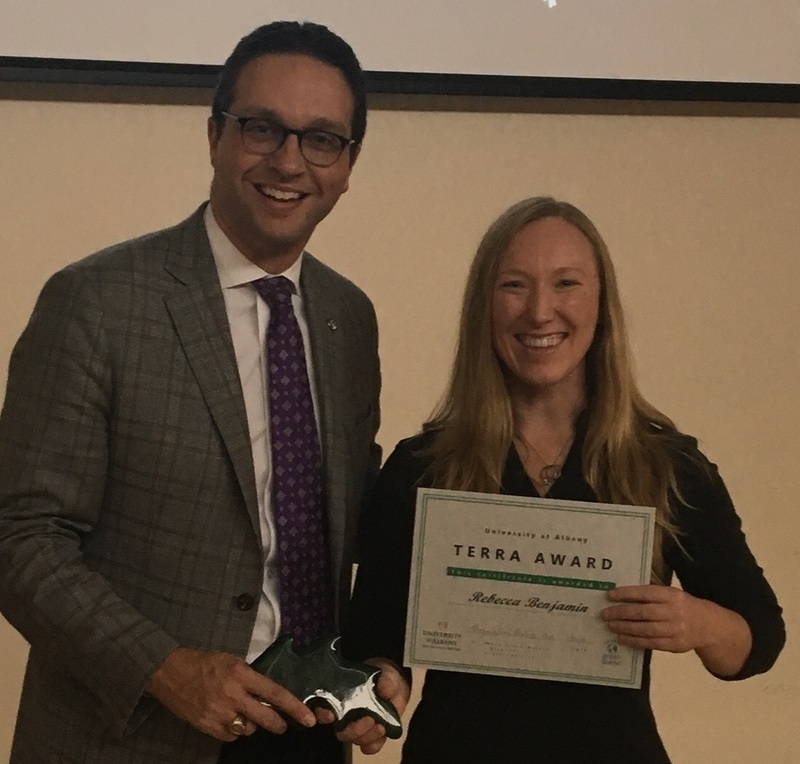 Krista and Tom have made significant impact in furthering sustainability initiatives that have an impact on MBA classes and on business throughout NYS. As part of a funded grant from NYS Department of Conservation, they developed a website, GreenBizToolkit, that codifies and explains sustainability programs, grants and funding for both for profit and not for profit organizations. This website is now being promoted by various organizations across the state. Tom and Krista met with company stakeholders to see what information was needed to help them implement sustainability projects and collected information from a wide variety of sources including the EPA, DEC, NYSERDA, all energy providers, experts, and other university sources. This information was categorized and a brief description of each program was briefly explained. While the funding for the project ended, Tom and Krista continue to edit the website and promote it via webinars and presentations. The Green Biz Toolkit is now used by the MBA program during the G3: Going Green Globally. It will help all 40+ students create implementable projects for their client companies. But beyond that, the website can be used by any and all NYS organizations to develop and implement sustainability projects. It has the potential to change how organizations approach sustainability for years to come! Nadia has served on the Student Sustainability Council as a Recycling Chair for two years now, and consistently goes above and beyond her responsibilities. In her listed tasks, she is required to ensure that students volunteers are at home games to collect recyclables and host recycling programming for students during specific times of the year. Nadia was so frustrated with the recycling infrastructure on campus that she and her counterpart decided to collect data to demonstrate the need to revision our campus. She first tackled the University Library. Nadia began performing regular audits of the recycling and waste bins on all four floors of the building. The research showed us that there was no consistency in the bins- different shapes, sizes, and colors (some waste/landfill bins were blue!). It also demonstrated that there was no clear signage. The result of such lackluster infrastructure not only is confusing to the user, but also sends the message that recycling is not a priority here at UAlbany. As you may imagine, this research was the impetus to make a change for the bin system in the library. After building a coalition and finding funding, the old bins will be replaced by ones that match and have attached signage. Additionally, Nadia served on the Trashion Fashion committee, where she was deemed the "student sustainability guru." She had the special task of ensuring that sustainability signage would tell the audience of all the special considerations we took, including composting, recycling, and reduce paper printing. She served as a great peer educator. James' sustainable advancements on campus are far reaching and meaningful. As the Bike Share representative, James is responsible for all routine maintenance and documentation of the rented bikes. This initiative promotes sustainable leisure and transportation for all students on campus. Additionally, James is the sitting treasurer of Grow Green or the Heritage Garden located behind Indian Quad. Not only was he heavily involved in the planning and research of this proposal but James continues to care for the garden on a regular basis. As a Residential Life Staff member, James sits on the Sustainability Committee and has a large part of planning sustainable programs for the entire quad on a regular basis. At these programs he exemplifies outstanding sustainable qualities and acts as a model to the other residents. James also maintains an off-campus internship in Troy with Capital Roots, a non-profit organization focused on eliminating food deserts in the Capital region. 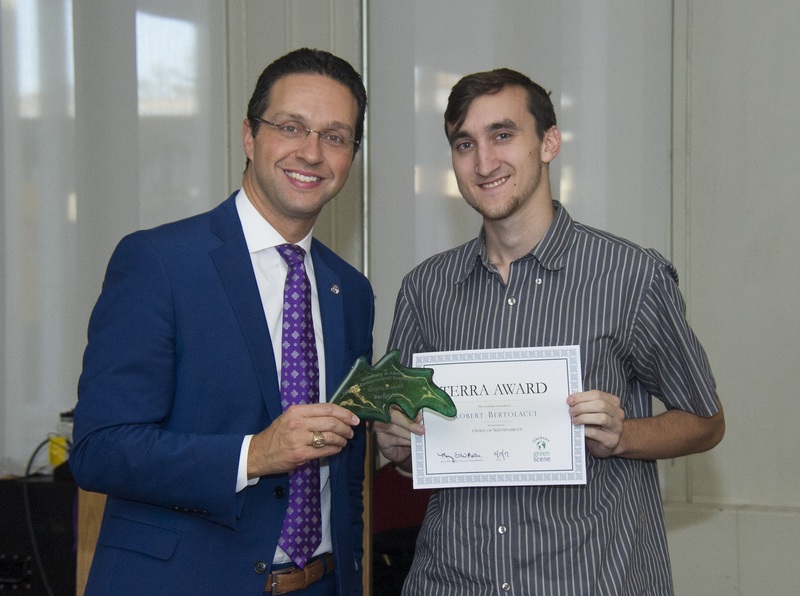 In addition, James helped to create a social media interface for RecycleMania through his internship with myActions. James' sustainable efforts are not just characterized by on campus initiatives rather he takes sustainability approaches to everything he can and as a way of life. His dedication to sustainability is genuine and inspires others to follow suit on a regular basis. 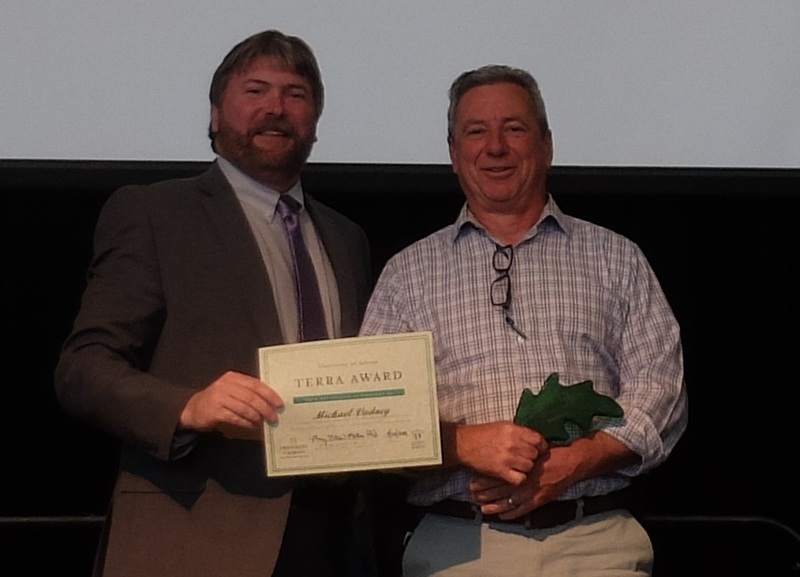 I have no doubt that if James were to recieve the prestigious Terra Award he would not only continue his efforts but hold himself accountable to reach the next level. Roberta is a beloved professor of environmental science. She seeks to inspire her students with activity driven and experiential lessons. She has created the Earth Day Family Event that provides a rich experience for local families to explore and wonder about our natural resources and the ecological processes. In addition, Roberta heads up the National Earth Science Teacher's Association (NESTA), which provides wonderful and far reaching services not just locally but throughout the nation. Robert's teaching sets the ground work for our students who are interested in the Earth, its systems and our impact on the planet as she teaches a large number of freshman and inspires them to continue their studies. She also has a far reaching impact with her community engagement activities both locally and nationally. Todd established the Res Life Pro Staff Sustainability committee, oversaw the implementation and management of the bike share program, and communicates/provide administrative support for the energy campaign, Recyclemania and the Give and Go move out program. The impact of the committee has been far reaching in having our young professional staff take ownership for sustainability programming and initiatives. This in turn has created more student engagement and education around sustainability as the pro staff in turn educate and influence the student RA's. His implementation of this coupled with the appointment of Res Life reps to the Sustainability Council and the development of sustainability committees at each living residence, has set a standard for strategically implementing sustainability within a department. This work was recognized on a national level as Todd was selected to present this model at the AASHE, national sustainability conference this fall. Additionally, Todd's work in the bike share program has helped it grow from a little less than 100 sign outs in its first semester to over 1,000 signs outs this past academic year. Lisa started in the Biodiversity, Conservation and Policy MS program at UAlbany in Fall 2013. She was appointed Co-Grounds Chair on the Sustainability Committee and co-founded the student group Grow Green. 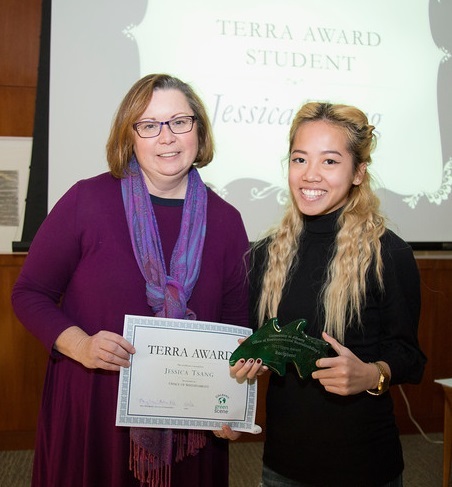 With her determination and leadership, Lisa helped spearhead the Heritage Garden on campus. She was instrumental in the planning and building process. Lisa is also the Vice President of the Sustainability RGSO. She represents fellow graduate students on the UAS Council. For the Fall of 2015, Lisa was elected as the President of the Sustainability RGSO and appointed as the Programming Chair on the Executive Board for the Graduate Student Association. Dylan has taken on a leadership role within sustainability ever since his freshman year when he began to campaign for the procurement of more local foods and the labeling of these purchases in the campus dining halls. Since then, he has served as a World Ambassador for the LLC and President of the UAlbany Students for Sustainability. Dylan has also worked part time in the sustainability office and has taken on the responsibility of doing the meter reads for our energy campaign, creating the Empire Commons bills, recording our recycling numbers and managing the ink jet/toner recycling program (which also provides revenue). In addition, he has coordinated the inclusion of a sustainability event at Clash of the Quads, assisted in getting students to attend the People's Climate March this past fall and attend other sustainability events and programs. Dylan's impact is huge. He influences many of his peers through the student group and leads them towards more sustainable behaviors. His capability of managing the administrative support for our university wide programs such as Recyclemania and the Energy Campaign frees up professional staff in the sustainability office to explore new initiatives for the campus. In addition, his support has benefited other offices on campus including Grounds, Energy Management and Res Life. Dr. Kleppel was one of the original members of the ENvironmental Sustainability Task Force. Due to his work on the food and dining committee, the university established a large farmer's market as part of community engagement day, began to increase their local procurement from 5% to 8% in one year and originated the purchase of grass fed beef in 2007. Today, Gary is the lead faculty of the living and learning community in Sustainability and has impacted the university by engaging in outreach across academic, operational and community boundaries. His sheep herding demonstrations at community day provide the perfect ice breaker to discuss sustainability and has organized teach ins and symposiums which have allowed students, faculty, staff and dining services to discuss the opportunities and barriers to getting local foods. He is the reason why we have made so many strides in terms of raising awareness about the importance of local food and sustainable farming practices. Dr. Kaye is a notable leader on the downtown campus in improving sustainable practices and operations. She guided the Center for Human Services Research through a process to pilot the Green Workspace Challenge instrument. 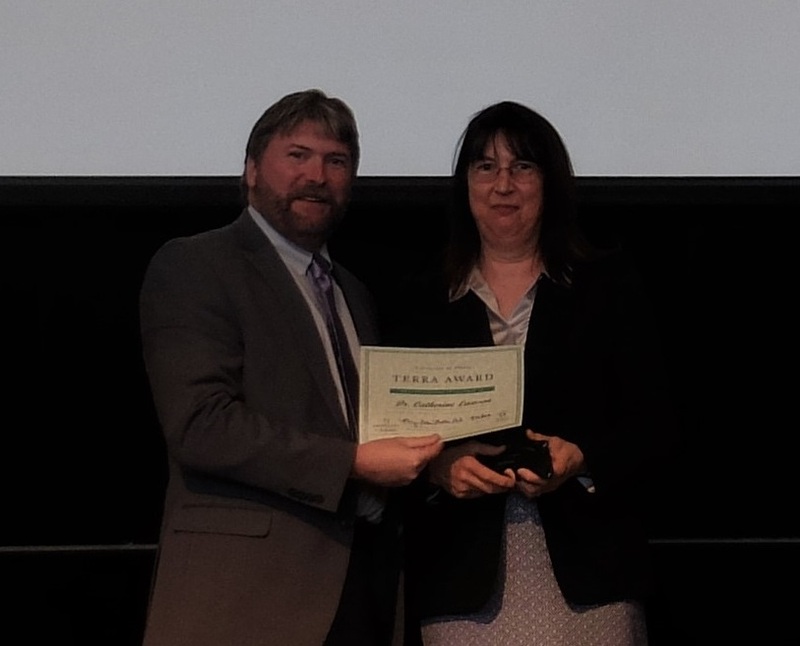 She encouraged a process of self-reflection and improvement in sustainable practices, such as developing "Green Ideas" to the Center's staff on email and led improvements to the Center's practices. For example, they gained approval to switch to 100% recycled copier paper, improving staff awareness of and access to recycling stations and establishing a reusable office supplies station for the staff. 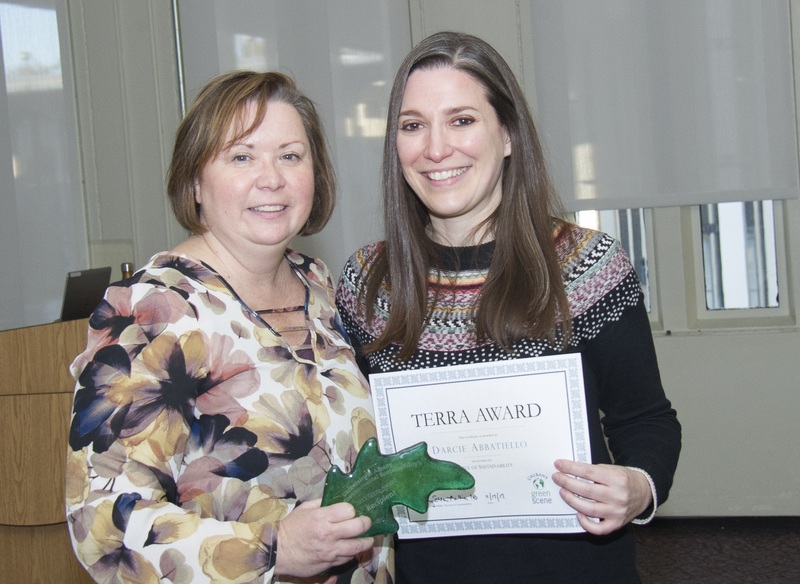 She is successful in educating her colleagues about sustainable actions in and out of the workplace, such as holding paperless staff meetings, brings reusable dishes and mugs to work, charges her electric car at the downtown charging station and manages the Center's compost. Cassidy has contributed to the sustainability movement for nearly 5 years. She was a member of the very first freshman sustainability-themed house and since that time has remained extremely active and taken on leadership roles. She has worked in the sustainability office, served as President of the student group and was a chair on the Sustainability Council. In these capacities, she helped raise the membership numbers of the group, oversaw the green grams fundraiser donating money to the Albany Pine Bush Discovery Center and has been active in promoting and managing outreach for our alternative transportation options. Cassidy has continued her work in this arena as a graduate student in the Biodiversity, Conservation and Policy MS Program. She also serves as the Community Assistant in the LLC World of Environmental Health and Green Living. 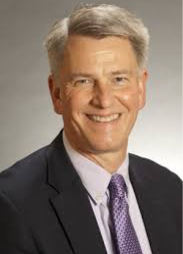 Dr. Krzykowski is the UAlbany Assistant Vice Provost for Student Engagement, and Vice Dean for Administration in the School of Business. She has established a very unique and beneficial program called the G3, or Going Green Globally, program. This takes the first year MBA students through a two week boot camp where they become sustainability consultants for real world clients. This involves a high level of creativity, coordination and instruction to pull off. Linda's actions have a broad influence on the students that go through the program. At this count, over 200 students have gone through G3. 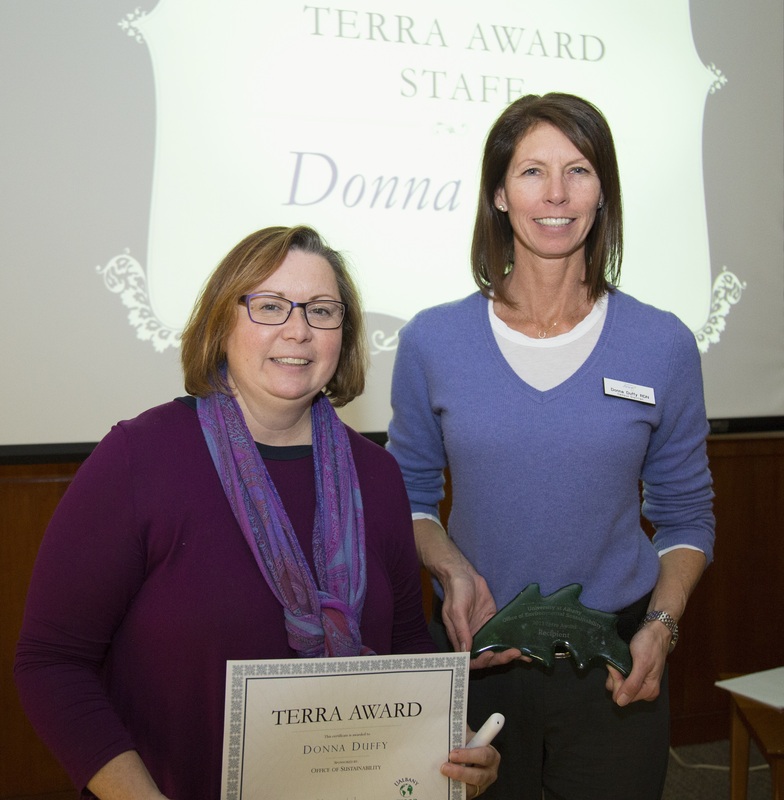 In addition, Linda has been instrumental in setting up the Living and Learning Community for Sustainability, which has had 3 successful years. She has also coordinated the establishment of several freshman year one credit seminars on sustainability. So far, over 35 students have participated in the LLC for Sustainability and over 300 through the freshman courses. Greg Back strives to promote green living and sustainability through the management and planning of sustainability education programs on campus that are open to the entire community. He has created a program called Harvest Fest, which has been developed into a annual, large-scale community event. It promotes green living through various local food vendors, all natural products, and educational presentations. Each year, it attracts over 400 residents who gained tips that can help them make a positive impact in the world through adapting environmentally-friendly practices in their lives. Greg has established relationships with local farmers and organizations that strive to use organic, environmentally sustainable methods within their business and everyday lives. The presence of these individuals at UAlbany allows them to promote their local businesses and engage students, faculty, staff and community members in sustainable efforts. 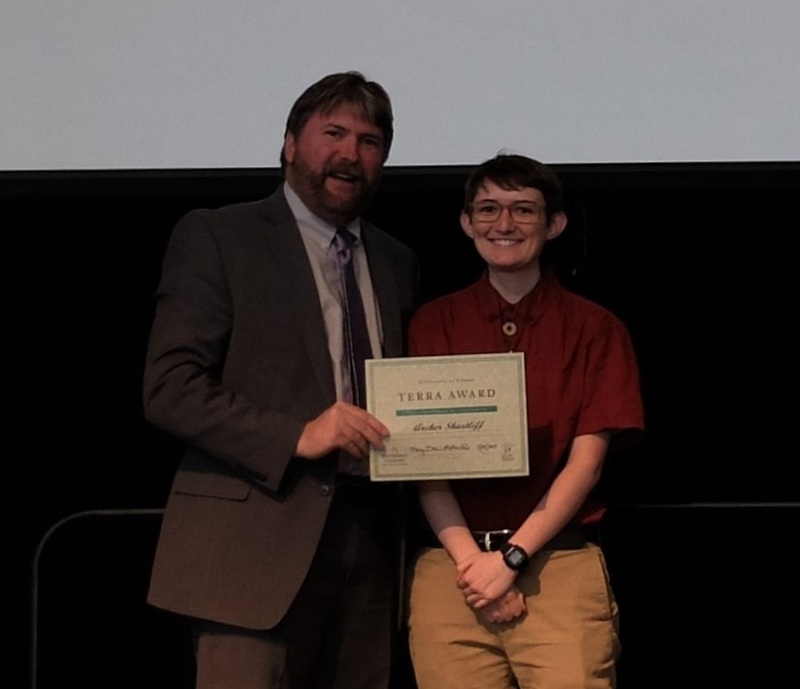 Caitlin Janiszewski is the President of the Graduate Student Association and strong supporter of Environmental Sustainability.She has a firm grasp on the evolving concept and has worked hard to incorporate sustainability into GSA programming. Caitlin brings innovative ideas to the table and follows through with her implementation. She's pointed out many ways that we could involve graduate students in our work, such as the idea of having a green certification for GAs in their classes. 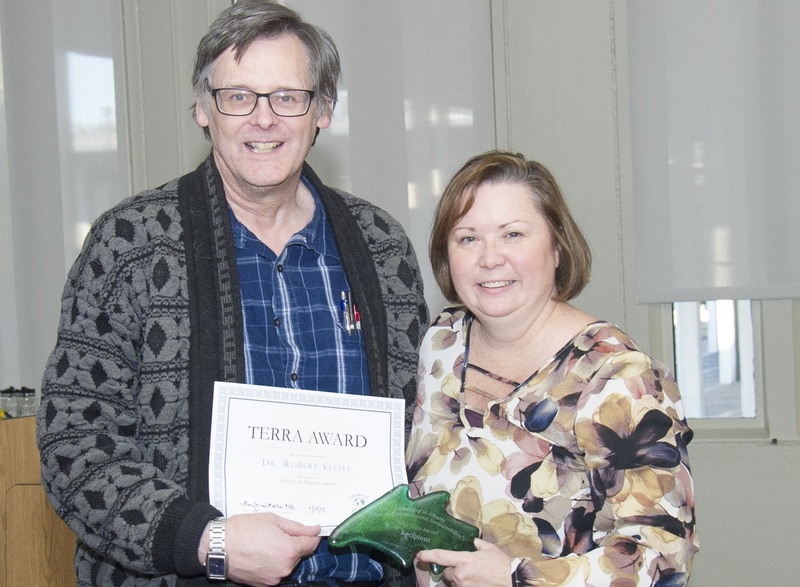 With her assistance, the Office of Environmental Sustainability have reached a wide audience about upcoming projects and building a campus heritage garden. Additionally, Caitlin has championed the sustainability agenda in conversations with President Jones and encourages SA to do the same.